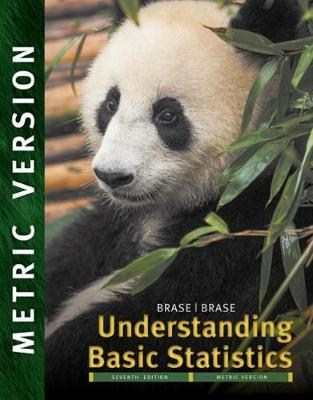 Designed to help you overcome your apprehension about statistics, UNDERSTANDING BASIC STATISTICS, ENHANCED, 7E, INTERNATIONAL METRIC EDITION provides plenty of guidance and informal advice as it demonstrates the links between statistics and the real world. The text's reader-friendly approach helps you grasp the concepts and see how they relate to your life. A complete technology package, including JMP (R) statistical software, gives you the tools you need to practice what you're learning and succeed in the course.